This very Christmas-y card was created by Michele Storms. 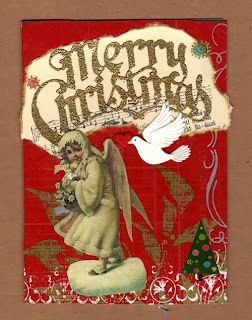 Lovely details ~ see the little heart the dove is carrying? 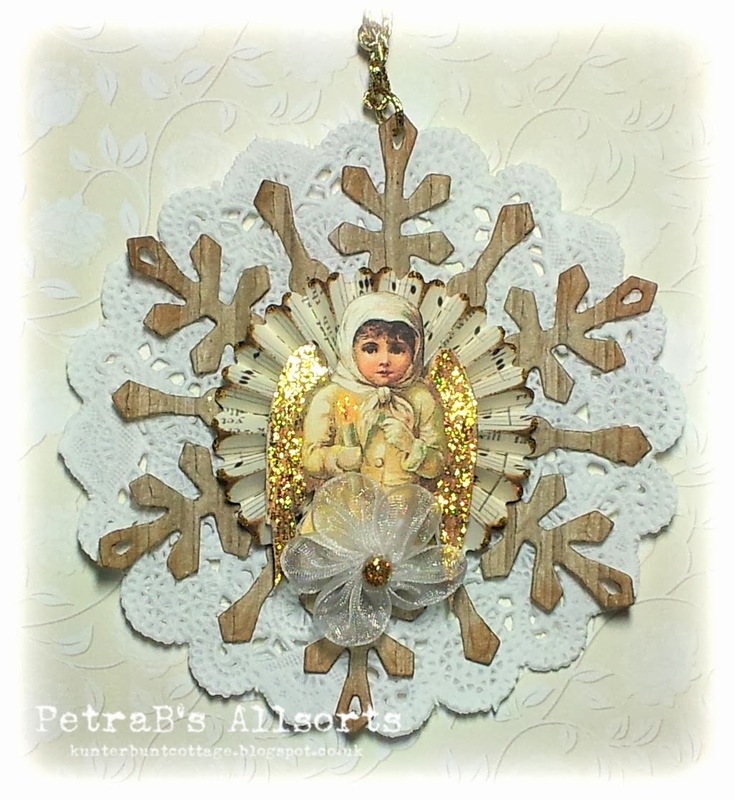 and the pretty Winter Wonderland tag below! 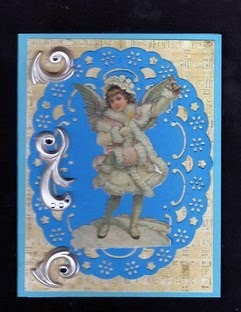 Vicki Romaine sent this sweet little angel card: "This card puts a Lunagirl Snow Angel on a Cheery Lynn diecut. which has been placed on a piece of designer cardstock. 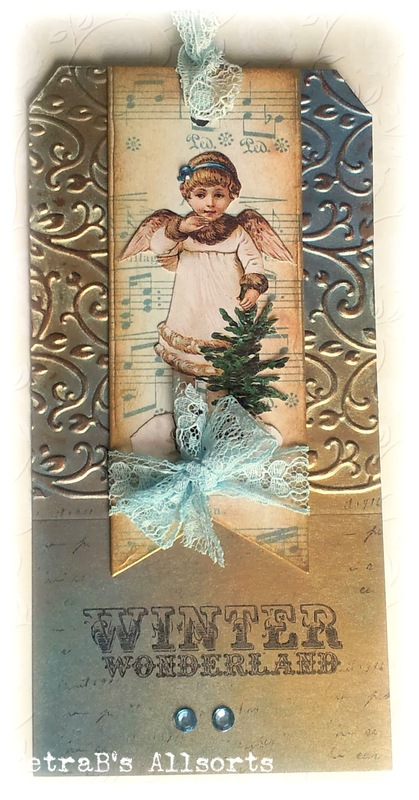 The flourishes are cream-colored which works well with the beige designer cardstock. They are made of thick acrylic." 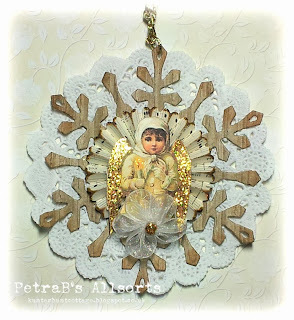 And from Mandy Chilvers, two pretty star shaped snow angel ornaments. I love the soft vintage pink colors.